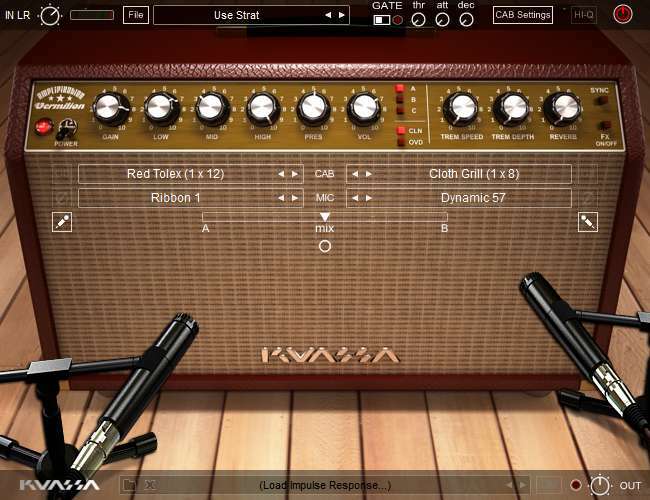 The Kuassa company was founded in Indonesia by the creator of the Aradaz free amp simulators. They now offer several amp sims, as well as effects plugins (like EQ and limiters). Most are commercial products, but you can also find a few free products, and the Aradaz amp sims are still available, here or on their official website. Amplifikation Creme is an excellent amp sim by Kuassa! It emulates only one amp, but the settings are numerous enough to make it very versatile. The sound is never completely clean, though, you always get some crunch out of it but the software is stable, reactive, warm and graphically pleasant. It costs only 34 US dollars, which isn't expensive for such quality. It's one of my favorite amps. 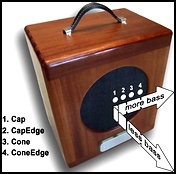 Amplifikation Creme is equipped with one head and one cab, with two microphones you can position as you want. You can choose from 3 cabs: Metal US, Modern US and Modern British (most probably Mesa Rectifier, Marshall and Orange). You can also choose from 4 microphones: Dynamic 57, Dynamic 421, Condenser 1 and Ribbon A. You can also bypass the cab and use an external cab with the impulses of your choice, or use the built-in impulse loader. Demo made with the impulses included in Amplifikation Creme. 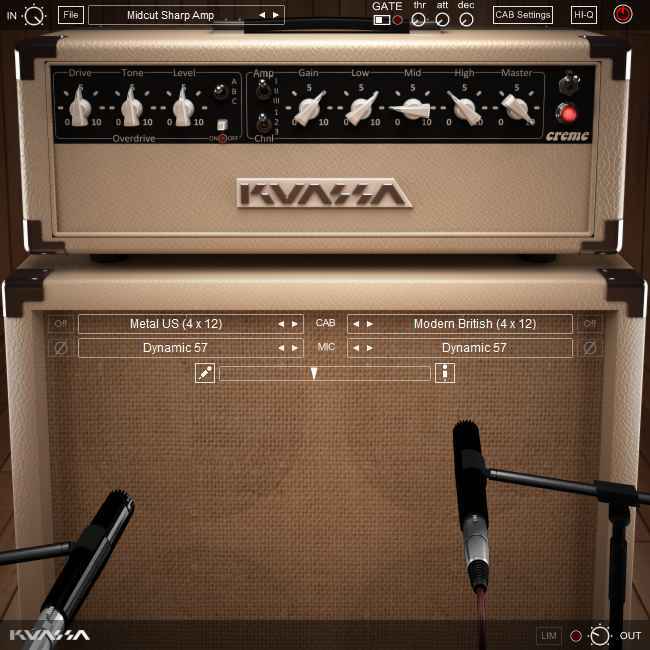 Amplifikation Vermilion is another excellent amp sim from Kuassa. 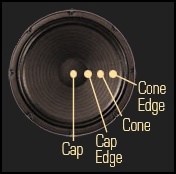 Instead of the relatively massive sound from the Creme, this simulation is closer to good old Fender amplifiers, able to produce nice clean sounds or crunchy sounds. It's tailored for Blues, Jazz or Rock rather than Metal, but it can produce very good distorted sounds. Amplifikation Vermilion is equipped with one head and a cab with two microphones you can position as you want. You can choose from 5 different cabs: from size 1x8 to 2x12. you can also choose from 4 microphones: Dynamic 57, Dynamic 441, Condenser 1 and Ribbon 1. You can also bypass the cab and use an external cab with the impulses of your choice, or use the built-in impulse loader. Demo made with the impulses included in Amplifikation Vermilion.